On Sunday, June 2 put on your exercise shoes and join the walk to raise awareness and research dollars. Do it for LUPUS, is the Lupus Society’s biggest fundraiser of the year. 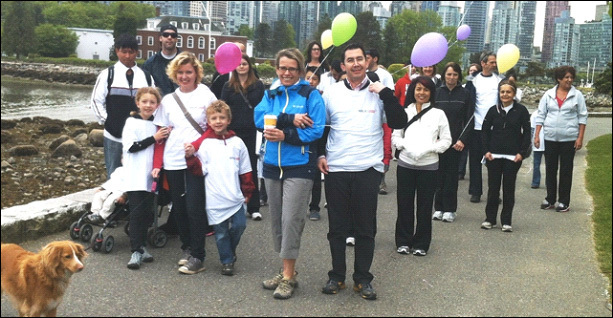 Awareness and pledge events take place throughout British Columbia and people are encouraged to organize or participate in a walk, run, bike ride, golf, bowling, or any activity. For information about the BC Lupus Society, please click here and for the event, click here. Join the Vancouver team, led by Dr. Antonio Aviña-Zubieta, research scientist at the Arthritis Research Centre of Canada (ARC), and Dr. Jennifer Reynolds, director of the Lupus Clinic, and help them achieve their goal of raising $3000 for lupus research in BC. Bring your friends and supporters too. To register as an individual or team, please click here and scroll to the bottom of the page. The Vancouver team registration is 3rd from the bottom of the page, and individual registration is the 4th from the bottom. For more information regarding the do it for LUPUS Walk for Lupus Research please contact Val Bishop at 604-714-5564 or by by email.